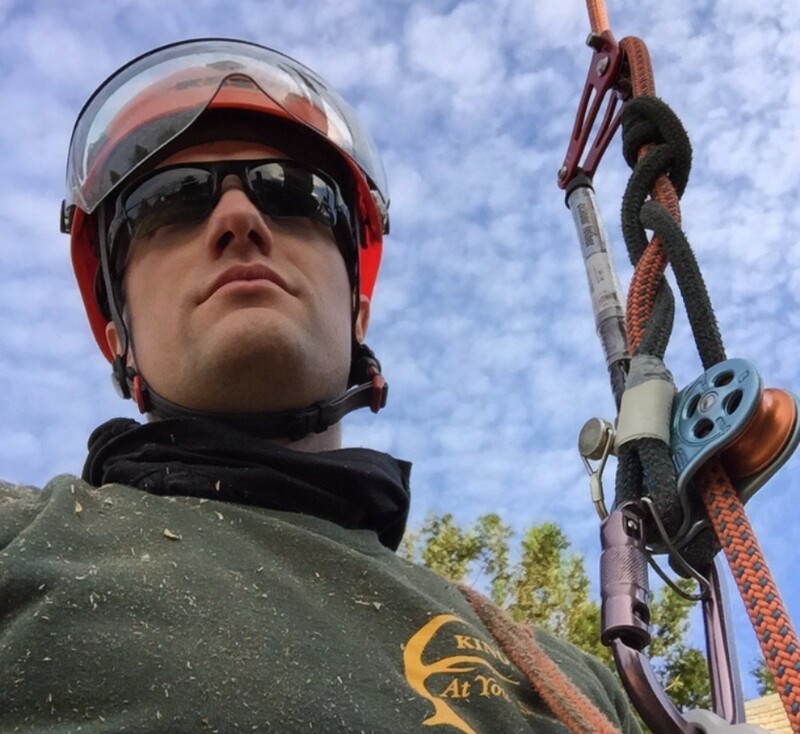 We climb with a variety of styles, tools, and techniques to handle the broad spectrum of tree shapes, sizes, and species. If we are doing a removal we often use climbing spikes to ascend and work the tree, however, they should never be used while pruning. The wounds created by spikes are harmful to the tree’s health. 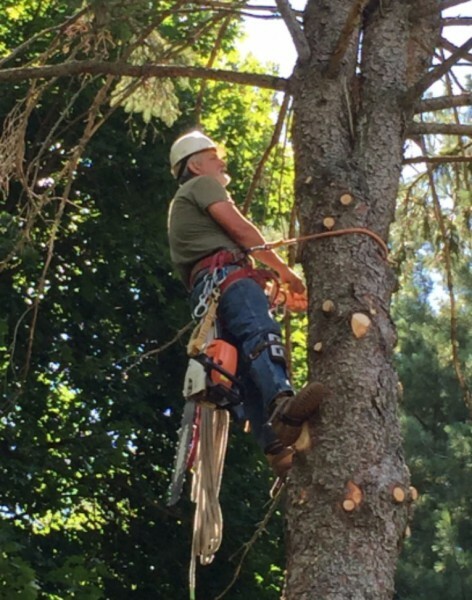 For pruning, we utilize the rope for ascending the tree and working safely in the canopy. A tree that is being removed can be climbed with spikes. 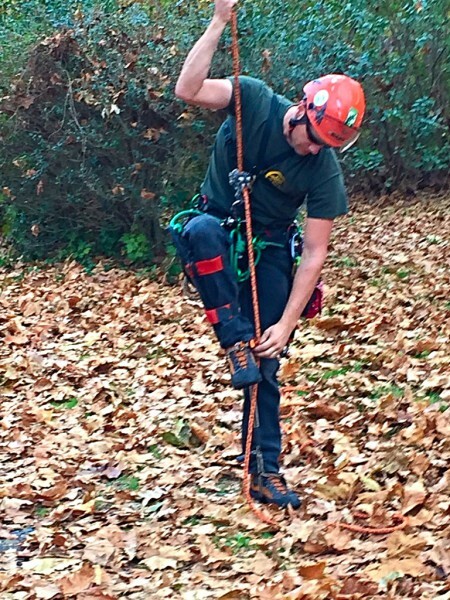 Pruning requires rope access and rope positioning to safely work the tree.